You are currently browsing the The Pet Product Guru blog archives for April, 2010. Does your dog appear normal but is constantly scratching? There are signs of pruritus, hair loss and skin irritation. You take the dog to the veterinarian and he performs a thorough physical exam to rule out other categories of dermatitis. As your vet continues to ask you questions, he discovers that your dog is outside excavating gopher holes, swimming and romping through fields where thistles are present. Many dogs are also very sensitive to lawn grass. By matching what your vet sees on your dogs skin with a probable environmental irritant, the cause of the skin problem could be determined and corrective actions taken. Here’s an example. Moist eczema is often called a “Hot Spot.” These skin lesions often occur because of moisture accumulates on the surface of the skin. Some causes could be that your dog came in contact with pond water, rain or lake water. Small scratches from a thistle could trigger another type of reaction. If your dog has long or matted hair, it is very possible that moisture on the skin could remain long enough for superficial bacteria to reproduce and cause an infection. Moist eczema can spread very rapidly and require aggressive therapy to correct. Contact with certain types of plastics could also cause environmental dermatitis. Your vet my prescribe hydrocortisone medicated lotion or you may be able to pick it up over the counter. In any case, let your vet determine the cause of your dogs dermatitis. Is your cat coughing up hairballs? Do you use hairball elimination products? Your cats have learned to accept you and all of your quirky habits right? Did you get used to all of their coughing up of hairballs? Cats swallow a lot of fur when they groom themselves. Sometimes the hairballs take care of themselves and sometimes your cat has to cough them up. Some short haired cats have problems vomiting hairballs but there is a way to manage it by modifying the fiber content in their diet. Your veterinarian will check your cat for any possible problems then help you find ways to help cut down on hair balls. There are many hairball elimination products on the market which can really help. Always consult with your vet first and don’t get too concerned when your cat coughs up a hairball. It is perfectly normal for them to do this one to two times a month. Any more could signal another problem which your vet will identify. Many dog owners spend a great deal of time selecting the ideal dog food. To that end, they want something that the dog will enjoy, but they also want to make sure that food is nutritious and healthy to continually put in their bodies. But not as many pet owners think about the dishes in which we serve this food. This can prove a mistake. 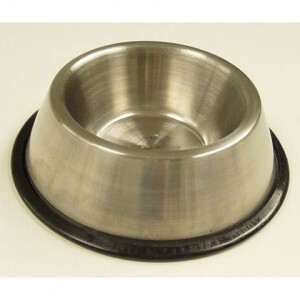 With that in mind, the best dog dishes are those that are made of a simple and safe material such as stainless steel. They are easy to clean and won’t harbor too bacteria to grow if properly and regularly cleaned. For the sake of convenience, you’ll also want a bowl that has a rubber bottom stopper. This will ensure the bowl doesn’t slide or spill when placed on the floor and used by your dog. Feeding your cat free choice. No luring with treats or cat toys. Cats are easy to feed right? You just put down a whole bunch of food and let them graze all day. Veterinary nutritionists say that cats might prefer that. They also say that cats eat between ten or twelve very small meals a day. So is there anything wrong with the easy, free choice way to feed you cat? Feeding free choice may simulate natural feeding but it can result in excess caloric intake. Feeding free choice is actually one of the risk factors for obesity and should be avoided in cats that are obese prone. Measured amounts according to directions on the can or carton is what you cat really needs. If you do choose free choice feeding, choose cat food that is especially made for indoor cats and follow the instructions. Do not over feed. I continually have to watch this with my older cat, Mollie. She is a little overweight and likes free choice feeding. Make sure that your cat gets plenty of exercise. Buy her a variety of cat toys to chase around the house. That finiky cat! You tempt her with treats, lure her to her bowl with cat toys and you hold your breath! So you have one of those cats. The kind that meows for food then as you place her food down, you hold your breath. Will she eat it? No she doesn’t. She just walks away with a look of disgust. She has just rejected another great entree. You open another kind of food but still you get the same reaction. What do you do when that finiky cat just won’t eat? Cats may enjoy one kind of food for a long time then get tired of it and just won’t eat it anymore. My cat’s get tired of their treats. At one time, they would go crazy for them now, they could care less if they get them or not. Believe it or not, most cats are not that finiky. If your cat doesn’t eat, it could be a medical problem like a toothache, respiratory infection or even a kidney infection. After you’re vet has ruled out a medical problem, consider her feeding environment. If her bowl is too small, it may make her face uncomfortable when she goes to eat. You must also consider what you are washing her bowl with. One of my cats does not like a particular dish detergent. When I use it, she won’t eat from that bowl. Try a larger bowl or a different bowl to see if this cures the problem. A cats appetite is also affected by stress. Does your cat share her bowl with another cat? If so, the other cat my dominate and inhibit you cat from eating comfortably. Is the room where she is eating noisy? Cats don’t like to eat in noisy environments. They also don’t like to eat if there is a toddler pulling it’s tail or making loud noises in the room where she’s eating. Did you recently move? This can be another reason why your cat is not eating. She has to get used to her new environment. I know you are tired of luring her to her bowl with treats, cat toys, etc. but be patient, she will eat when she’s hungry! Dogs that eat something that’s not in their dog dish — Grass. Does your dog like it? You may be surprised when you notice your dog eating grass. This is really not that unusual. Many dogs like to nibble on greens from time to time yet veterinarians aren’t really sure why. Some say this it is a normal part of a dog’s diet because in the wild, canines eat all of their prey including the plants in their intestines. Another theory is that it could be a sign of fiber deficiency. Some people have found that changing the dogs diet, helps stop the behavior. Because dogs tend to vomit after eating grass, another theory is that the when a dog feels ill, they eat grass to clean out their stomach. We may never know why dogs eat grass. Unless your dog is vomiting frequently, there’s probably no reason to worry. I knew someone who thought that their dog liked it and put a little grass in the dog dish with it’s regular food. Of course, don’t think of doing this as grass is not a normal part of a dogs diet! Tips on adopting a pet. Do some research first then buy the dog beds, cat bed and the pet toys! Many of us are excited to give a homeless pet a good home. That’s great since so many of these animals are abandoned or mistreated. My cat, Millie was abandoned and left in an apartment alone when it’s cruel, heartless owners moved out on her. She was only about 2 months old. A neighbor heard her cries and found her and took her to a shelter where I couldn’t help but adopt her and give her a good home. An estimated 8 to 12 million pets wind up in shelters each year. When you adopt a pet, there are some basic things that you should know. Do you have enough room in your home for a homeless pet? Make sure there is enough in your budget to care for a pet. How will the new pet get along with other pets that you may have? Research the type of pet you want. If you are adopting a certain breed dog, know the characteristics of that breed before adopting it. Be ready before the pet arrives. Have that nice soft, dog or cat bed ready along with all of the necessary accessories like food, litter, dog leash, dog collar etc. Give your new pet time to adapt. Give yourself time to adjust to your new arrival. I hear so many stories of people adopting a pet and then returning it to a shelter for one reason or another. This in my opinion is cruel. Know what you’re getting into. It’s not fair to that poor animal who thinks it has a good home only to be returned to the cage in the shelter a few days later! Are you continually using pet stain removers because your dog has overactive urination? Some puppies get so excited at playtime or when people come through the door that they urinate on the floor. So keep a supply of pet stain removal products on hand. Even well trained dogs can exhibit this behavior. As your puppy grows and gains more confidence, the problem with overactive urination usually goes away. Unless you accidentally reinforce the behavior. If your dog has accidents when you walk through the door and your veterinarian has ruled out any medical causes for this problem, do not scold your pup for his behavior but don’t reward him for it either. If you console your dog after he pees on the floor, you are sending a message that his action is acceptable. Instead be “low key” about it and ignore your dog’s excitement and wait until he’s calm to pet him. Dogs in heat. Keep them on their dog leash and watch out for all the attention from male dogs! A female dog comes into heat and is able to get pregnant every six to eight months. Her first heat takes place when she is about six months old and lasts for roughly three weeks. She is generally most fertile around the tenth day. Aside from a small bit of vaginal bleeding and increased urination, the most noticeable symptom of heat may be the attention that male dogs pay your pet. To determine if a female dog is in heat and when she is most fertile, a breeder will generally test the dogs progesterone levels. This hormone peaks when the dog has ovulated. This way it can help a dog owner know when to breed the dog. So don’t do anything differently with your pet, continue to exercise her and take her for long walks on her dog leash but watch out for all she may get from the male dogs! There is no cure for heart worm. There is a preventative pet medication. Heartworm is found in pets all over the United States. It is a serious disease where spaghetti like parasites begin to live in the blood vessels and the heart of a pet. No heart worm is treatable so you have to prevent it in the first place. John Rosh is a professor at the Tufts Coming School of Veterinary Medicine. He says that in certain parts of the country heart worm is a common cause for pulmonary hypertension as well as heart failure and other problems. This disease must be prevented especially in areas of the country where it is more common. Your veterinary can provide you with information about the disease and give you preventative pet medication. Again, there is no cure for this disease so it must be prevented. Take the steps now to talk to your vet.